Here at Jet Executive Limousine, we pride ourselves on offering the highest quality service and product to all of our customers. Below you will find a listing of some of the popular services we offer. If you do not see a service that fits your needs, please do not hesitate to contact us at 404-391-0465 or via our reservation contact form. We will go to every possible length to ensure customer satisfaction! 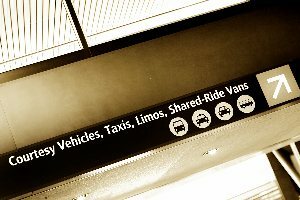 Jet Executive Limousine recognizes how hectic times are with regards to airport travel. This is why we believe that it is important to assist all of our customers by meeting you or your arriving guests and assisting you every step of the way until you are safely into the seat of one of our vehicles. We are happy to provide quality vehicles for your High School Prom or Homecoming event. Our professional and curteous staff will make sure that your special night is definitely one to remember! *Bar service is not available for vehicles reserved for Prom or Homecoming events. Let us help to make this day the happiest day of your life. Travel in comfort and style on your wedding day, with the peace of mind that we will get you where you need to be relaxed, on-time, and ready for your big event. We will truly roll out the red carpet for your special day. Call today about our current specials! *Certain vehicles and restrictions apply, Call for Details.